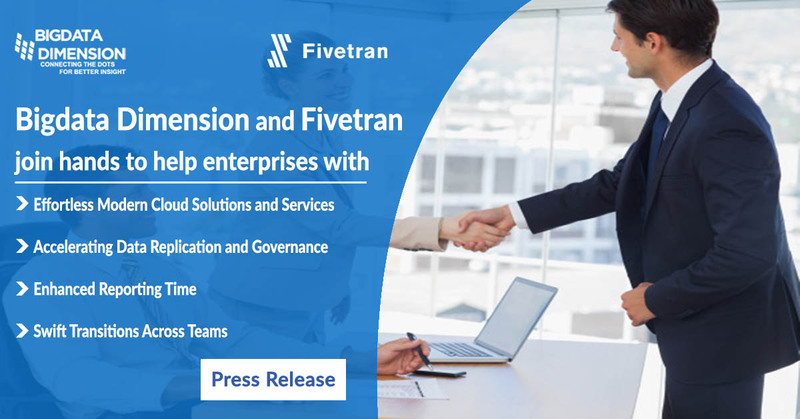 Big Data Dimension Labs, a leading Cloud Computing implementer, has come together to team up with Fivetran to drive Modern Cloud Solutions. This broad partnership is expected to spark innovation and bring scalable solutions to Fivetran users, by maximizing the use of Modern Cloud Architecture. Product development talents and resources at both companies will be put in use while driving scale and efficiency in the partners' respective business. > Assessment & Advisory: BDD Labs aims to have a Modern Cloud Solutions’ PoC to find out which workloads would benefit from migration. Advisory services ensuring a smooth transition. > Data Replication: BDD will then liberate the data from legacy databases with their trusted cloud migration solution to modern cloud architecture like Snowflake from Netezza, Teradata, Hadoop, utilizing Fivetran’s change data capture solution. > Modern Data Architecture: Fivetran automated data pipelines modernize your architecture and deliver near real-time data replication. > Data Governance & Data Quality: BDD’s Fivetran focused solution will help accelerate data governance. > Analytics Acceleration: Fivetran ready-to query schemas accelerate analytics along with a new cloud data warehouse which optimizes query speed and business application performance. > Training & Support: Training the staff in the new tools and architecture of modern data warehouse which enables swift transition across teams. At Bigdata Dimension Labs (BDD) we strive to make frameworks and solutions for companies to help them with scalable, cost-effective and innovative solutions. To fully utilize the power of cloud capabilities, a company needs a robust framework and solutions intended for the modern computing landscape, made to handle modernization, challenges and to uncover the insights. Our cloud-powered frameworks and solutions enable enterprises to become data-driven, help them in increasing their performance and provide the path for automagic modernization. Our solutions also monetize the data shared externally (DaaS) and make the best use of the data others share - all with our flexible and affordable cloud solutions. > CloudInsights : The ultimate Snowflake cloud data warehouse companion which uncovers the insights of the snowflake platform on Azure and AWS. >	Cameo: Application modernization platform which is out of the box cloud native ready for Azure. Built with ageless application modernization framework for the cloud that you will never have to code it again. >	CloudCDC: Data Warehouse modernization solution that will help you build modern data architecture & data replication in the cloud. >	Alpha: Modern Talend ingestion & code standard platform to help you migrate from Teradata, Netezza, have a common API ingestion engine. 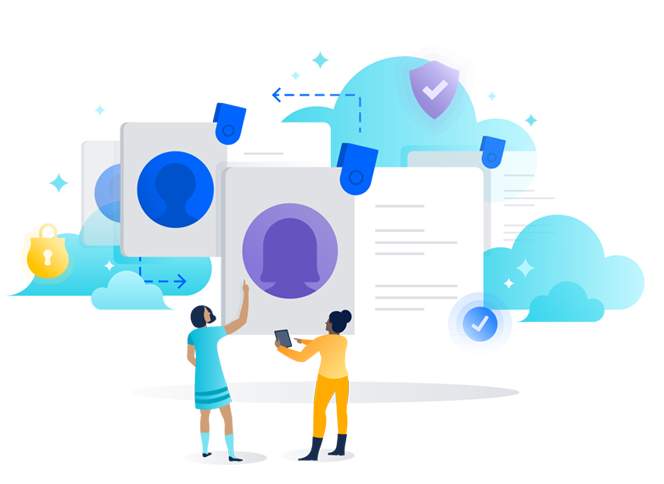 >	Acids: Modern self service providers and consumer’s data sharing platform that eliminates the need to write API, FTP, Email, ETL and manual processes to share the data. Fivetran is part of an analytics data stack and the growing ecosystem of cloud-based infrastructure companies. Developed for modern companies using cloud-based software and storage, Fivetran helps organizations escape traditional ETL tools that badly underperform. By contrast, Fivetran streamlines and accelerates business intelligence projects with automated, fully managed connectors that come with ready-to-query schemas; it effortlessly replicates siloed data into modern, high-performance warehouses.